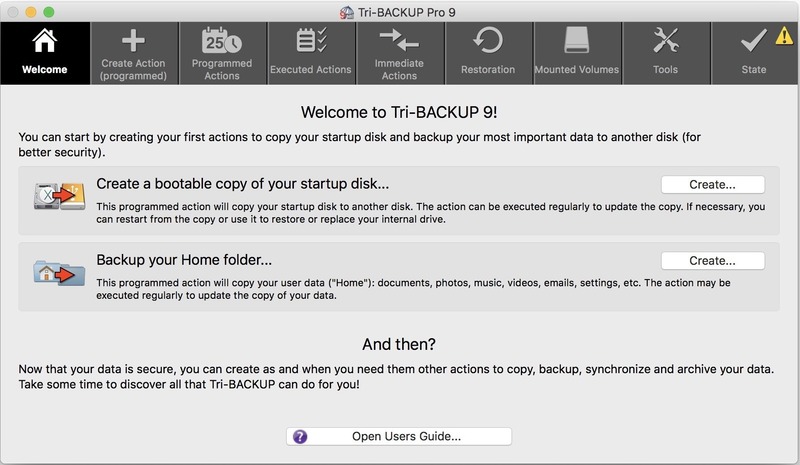 Tri-BACKUP 9.0.2 – Automatically backup files on multiple machines. Immediate Actions to precisely control what must be copied, deleted, or modified. Next story BetterTouchTool 2.626 – Customize multi-touch trackpad gestures. Winclone 6.1.6 – Clone your Boot Camp partition. Tri-BACKUP 7.1.4 – Customizable back-up solution with advanced features. Winclone Pro 6.1.7 – Clone your Boot Camp partition.